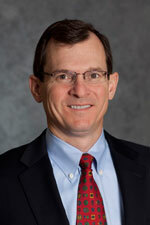 Michael has served on the board of directors since March 2011. He serves as chair of the Audit Committee and also serves on the Corporate Governance Committee. Since 1994, Michael has served as CEO of Road Machinery & Supplies Co., a distributor of construction, mining and forestry equipment. He started his career as a financial analyst and commercial lending officer with the Northern Trust Company. He serves on the board of Reviva Corporation and Dunwoody College of Technology and has previously served on the Twin Cities Regional Board of US Bank and numerous industry association boards. He resides in Minnesota.